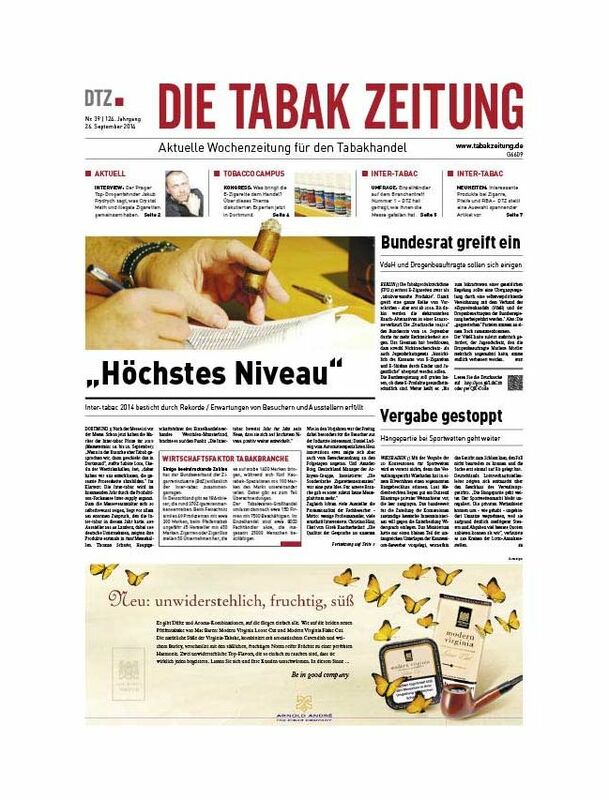 Tabak Zeitung is the current weekly trade magazine focused on the tobacco industry in Germany. The magazine is the communication channel for the tobacco industry in Germany, forming a vital link in the marketing chain between the tobacco industry and wholesalers and retailers. It is the perfect professional magazine for all decision-makers and managers working in the tobacco industry.